Swinburne Online’s Bachelor of Education (Early Childhood & Primary) course delivers both the necessary skills to engage with young children and also the qualifications needed to enter into the teaching profession. With accreditation from the Victorian Institute of Teaching, this course allows you to graduate as a qualified childcare professional or primary school teacher. You’ll be given the skills and confidence to teach children through a variety of methods and activities. You will learn to plan curriculums, understand and deal with varying childhood behaviours and develop confidence in designing and conducting lessons with art, music, maths and literacy. The industry professionals teaching this course will help you identify and manage different teaching methods based on diverse student needs and classrooms environments. As a part of this course, you will be required to complete 91 days of placement in a range of early childhood contexts such as primary schools and early childhood centres. Here’s why Kahlia chose to study education with Swinburne Online. You will also need to complete 4 elective units. Upon successful completion of this course you will receive a nationally recognised Bachelor of Education (Early Childhood & Primary) from Swinburne Online. Studying a Bachelor of Education (Early Childhood and Primary) is a fundamental step in starting a career in childcare or primary school teaching. As an industry accredited course, all graduates of this Swinburne Online degree will finish their studies with qualification in primary education. In addition to accreditation this course provides you with the skills and confidence in teaching a wide variety of children with self-designed lessons covering both arts and numeracy and literacy. If you are an Australian citizen you may be eligible to receive a government study loan through HECS-HELP. 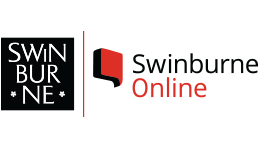 Swinburne Online also offers a number of scholarships and grants as a means of promoting equality, recognising excellence, and alleviating financial hardship. Enquire now for more information.